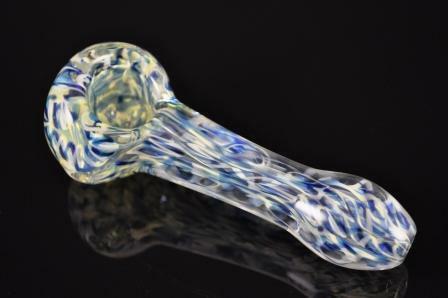 Blue white glass pipe 4 inch long and fits in hand well and good size bowl. Shining colors. Pros: I love it, it's a great piece. Fast shipping and good customer service. Buy it.